Choose Your Own New Year’s Eve 2014 Adventure! Like many of you, I have been so busy recovering from Christmas that I’ve barely had any time to plan anything for New Year’s Eve. This time of year when I naturally reminisce about everything that has happened over the past 365 days, it only seems appropriate that the year end with a celebration of the good things of 2013, and a ‘good riddance’ to the not-so-good things. Fortunately, Seattle is one of the nation’s fastest-growing metropolitan cities (over 630,000 residents and counting), so there are dozens of great parties and gatherings to choose from. 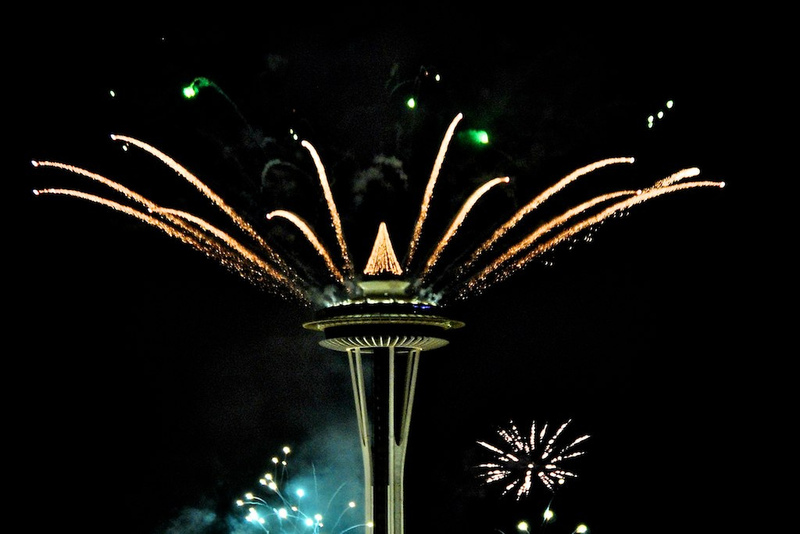 I can plan the perfect New Year’s Eve 2014 with one simple question: what Seattle public radio station do you listen to? 1. 88.5 FM News for Seattle and the Northwest (KPLU): Seattle’s NPR station for local and national news, jazz and blues music. 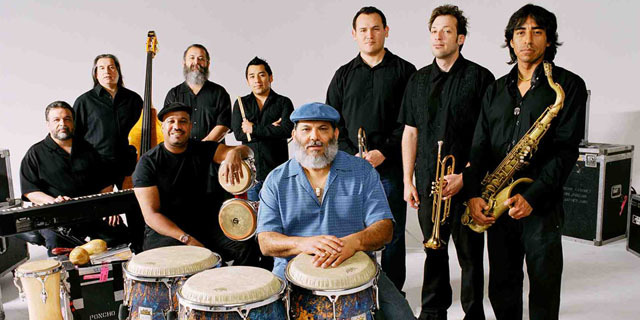 Listeners will enjoy an evening with the Poncho Sanchez NYE Celebration – a nine piece Latin Jazz band with 2 performances on December 31st. The 8:45- 10 PM show includes a four course dinner, and leaves just enough time afterwards to get to the a second party destination before midnight; the 11 PM “Ring in the New Year” show features dessert, party favors, and a midnight countdown. Info and tickets are available at Dimitriou’s Jazz Alley. 2. C89.5 FM Seattle’s hottest music! (KNHC): This station is owned by Seattle Public Schools, and operated by the students of Nathan Hale High School as part of a class in radio broadcasting. 200,000 listeners tune in weekly for tomorrow’s hottest electronica, house and dance music. For the best all-night electro house dance party in Seattle, check out Resolution 2014 from 7 PM to 3 AM at the WaMu Theater at CenturyLink. Two stages will feature artists like Knife Party, Above and Beyond, and AC Slater. 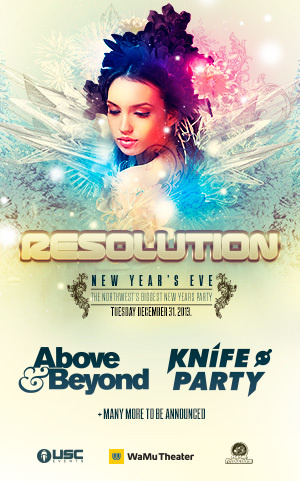 For more info and tickets, check out USC Events or Resolution Seattle. 3. 90.3 FM Where the music matters (KEXP): What began as the University of Washington’s student radio station, KEXP has evolved into a nonprofit arts organization that champions independent new music, both in the Pacific Northwest and around the world. Listeners enjoy discovering local Seattle artists, punk rock, American folk, reggae and everything in between! 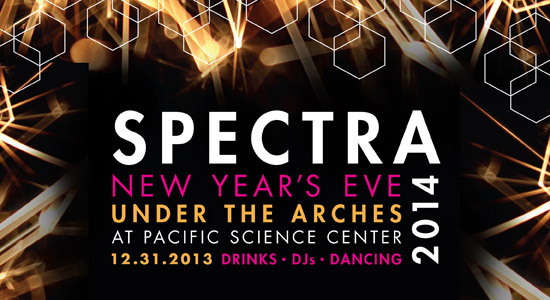 This year, the station is teaming up with the Pacific Science Center to put on Spectra 2014 from 8:30 PM until 2 AM. Five DJs will be playing a variety of music in the Science Center, accompanied by aerialist performances, laser shows in the planetarium, and outdoor metal and/or fire sculptures. At midnight, guests can enjoy front row seats to the Space Needle’s annual fireworks show with a KEXP-curated soundtrack. For more information, visit KEXP.ORG or the Spectra website. 4. 94.9 FM News and information (KUOW): Listeners who tune in to KUOW are eager to learn about their community and how it fits into the larger picture. They are curious and love to learn, but have lots of love for the 206. For the local angle, check out Brouwer’s Café in Fremont. With over 60 craft beers on tap, local companies such as Fremont Brewery and Outlander Brewing will be pouring complimentary toasts all night. For the global angle, swing by the St. James Cathedral for the “Parisian Royal Holiday” New Year’s Eve Gala. Enjoy an evening of music from the reigns of Louis XIV, Marie Antoinette and Napoleon III as performed by the Cathedral Chamber Orchestra, with a special surprise at midnight. 5. 98.1 FM Listener-supported classical music (KING): Supporters of this station have cultivated an appreciation for opera, symphony and chamber music, and are drawn to the timeless classics of Mozart, Verdi and Strauss. The perfect celebration for KING listeners is the New Year’s Eve concert at the Seattle Symphony. Conductors Ludovic Morlot and Jeff Tyzik team up to bring guests an evening of both classical and jazz compositions from Tchaikovsky’s Nutcracker, Gershwin’s Rhapsody in Blue, music from John Williams’ Star Wars soundtrack, and lots more! 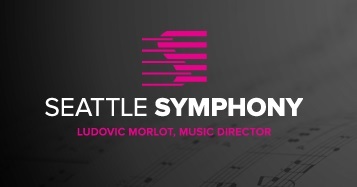 For information and tickets, visit the Seattle Symphony website. Leave it to Seattle to come up with such a diverse range of music and parties to ring in the new year. With so many great New Year’s Eve 2014 celebrations to choose from, the only problem choosing which one to attend! This entry was posted in Music and Art, The Seattle Scene and tagged Dimitriou's Jazz Alley, Fremont Brewery, KEXP 90.3 FM, KING 98.1 FM, KNDD 89.5 FM, KPLU 88.5 FM, KUOW 94.9 FM, Outlander Brewing, Pacific Science Center, Poncho Sanchez, Seattle Symphony, St. James Cathedral, Star Wars, USC Events, WaMu Theater. Bookmark the permalink.